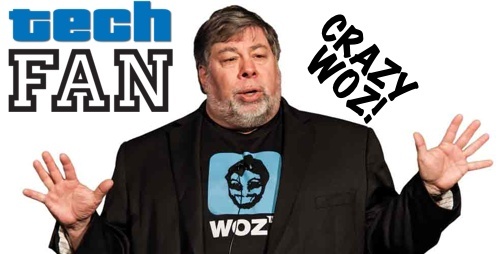 Tim and David discuss CRAZY WOZ, Sony exiting the PC business and LG thinking about it, Satya Nadella as the new CEO of Microsoft, Bitcoin booted from the Apple App Store, and what is Sapphire-Crystal and how could it change everything? This entry was posted in Podcast and tagged Android, Apple, Bitcoin, Google, iOS, LG, Microsoft, Sapphire Crystal, Satya Nadella, Sony, Steve Wozniack by Tim. Bookmark the permalink.